It was only a matter of time before punk rock went novelty and 'Jilted John' may have been the first 'tongue in cheek' song with the 1978 punk rock sound. The single was released on Rabid Records, a small indie label back in April, then was quickly snapped up by EMI for national release. They obviously sensed that the time was right for a novelty punk rock act and so they were proved right as the single went top 5. 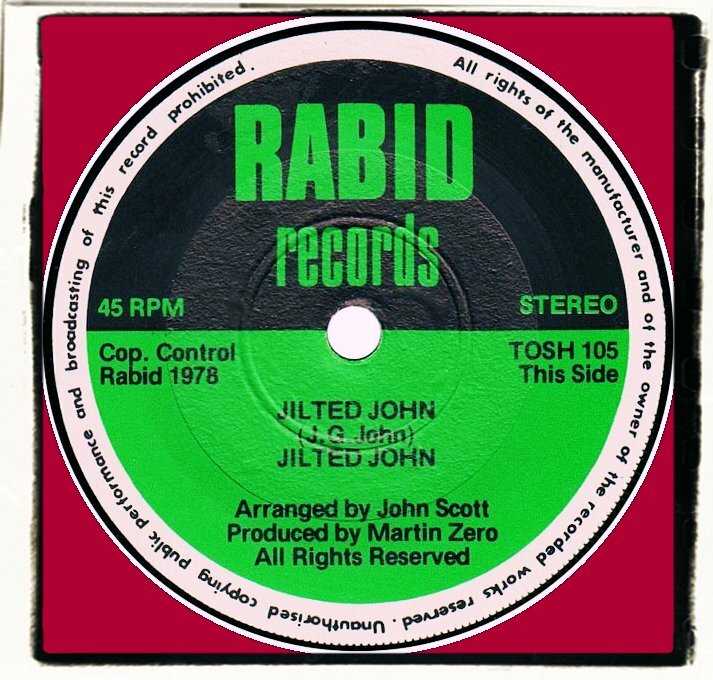 I remember hearing 'Jilted John' loads of times on Radio 1. 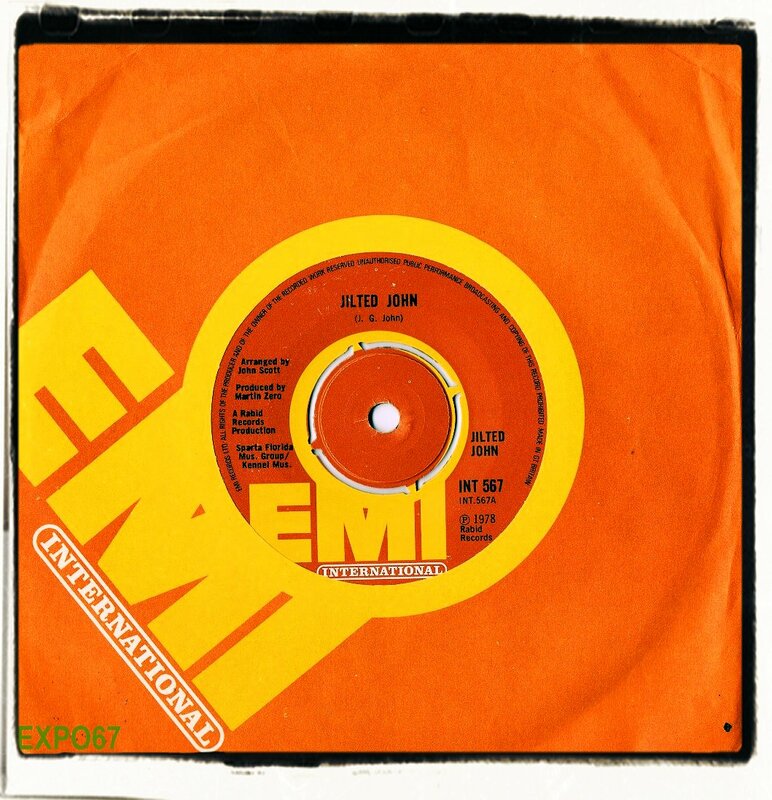 One time was on the car radio when we were being driven back from a football match in 1978. We had just played for Newbottle Community Centre Under 15s at East Herrington when this came on the radio. I just wish we had a lad called Gordon in our team but sadly we didn't. That didn't stop us all joining in with the chorus of 'Gordon is a moron'. I wonder where my old football mates are nowadays? Never seen any of them since the early 80s....Bamba, Moffy, Parkin and Hoody....this one's for you.